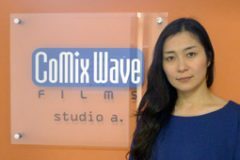 Cartoons on the Bay is proud to host CoMix Wave Films, one of the top studios of the past decade in the Japanese animation industry. 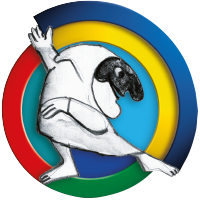 The studio was founded in 2007 as an offshoot of the former CoMix Wave, founded in 1998 by a chain of major companies including Itochu and Asatsu/ADK. CoMix Wave Films has its headquarters in Chiyoda, Tokyo. The studio’s productions include films by Makoto Shinkai such as Hoshi no koe (Voices of a Distant Star, 2002), Kumo no mukō, yakusoku no basho (The Place Promised in Our Early Days, 2004), Byōsoku go senchimētoru (5 Centimeters per Second, 2007), Hoshi o ō kodomo (Children Who Chase Lost Voices, 2011), Kotonoha no niwa (The Garden of Words, 2013) and of course Kimi no na wa (Your Name., 2016), the studio’s new feature length film, an award-winning international success with box office numbers in Japan comparable to films by Miyazaki. While Shinkai and his films may be the crown jewels of CoMix Wave Films, the studio is involved in a variety of activities. Other films by the studio include the romantic science fiction short Hoshizora kiseki (by Akio Watanabe and Toshikazu Matsubara, 2006) produced for the internet; the CG science fiction film Planzet (by Jun Iwazu, 2010); the sentimental home video saga Kono danshi (created by Sōbi Yamamoto since 2011); the acclaimed comedy series Peeping Life (by Ryōichi Mori, 2008-2016); and several animated advertisements for large companies. The studio is also very active in producing animated segments outsourced by other studios.